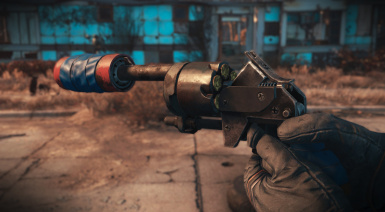 Adds a Handmade Revolver based on concept-art from the "The Art of Fallout 4" book. Handmade Revolver by asXas - TRAD FR Vous devez impérativement installer le mod original en premier. Lisez la page d'accueil de ma traduction pour plus d'informations. Hi! 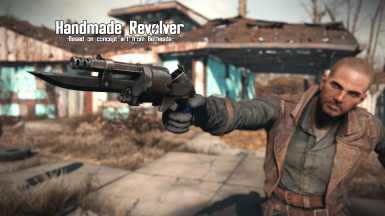 I'm back again this time with a standalone(Optional Replacer) gun called "Handmade Revolver" based off unused fallout 4 concept-art. I hope it have that same rustic home-made feel to it that the Crude Blowback had! 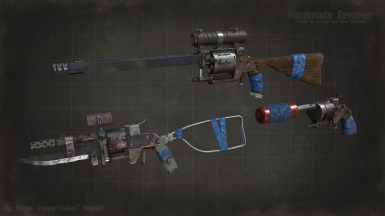 Don't forget to equip the "no barrel" mod for.. well I have no idea why you would do that. 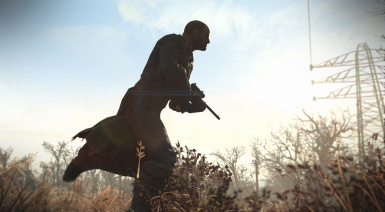 Get Visual Reload patch here! Fixed: Double Damage should now work like intended. 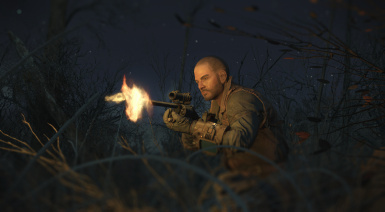 Added: Option to double the base damage of the standalone variant in the installer. 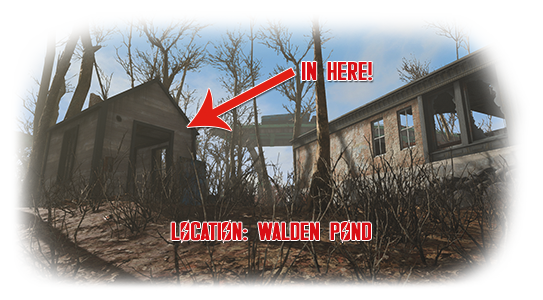 I should be easy enough, the gun is placed on top of a fireplace in a shed around Walden Pond. It can also be found on Enemies and bought at vendors. You may need to wait/sleep 24+ hours to refresh the "loot lists". 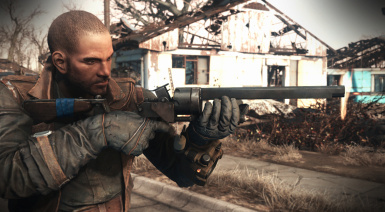 If you can't be bothered to walk/Fast travel to get it you can use cheats to obtain the weapon. 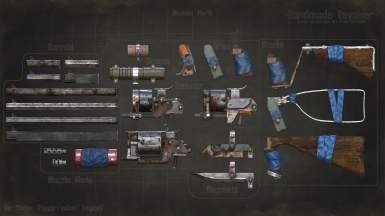 Well I'm starting to get a taste for doing mods for fallout 4 so I looked trough "The Art of Fallout 4" yet again on the hunt for the next weapon to create and this is what I ended up with.